12 oz. capacity. Push and pour mechanism. Screw on lid, can also be used as a serving cup. Includes travel case. 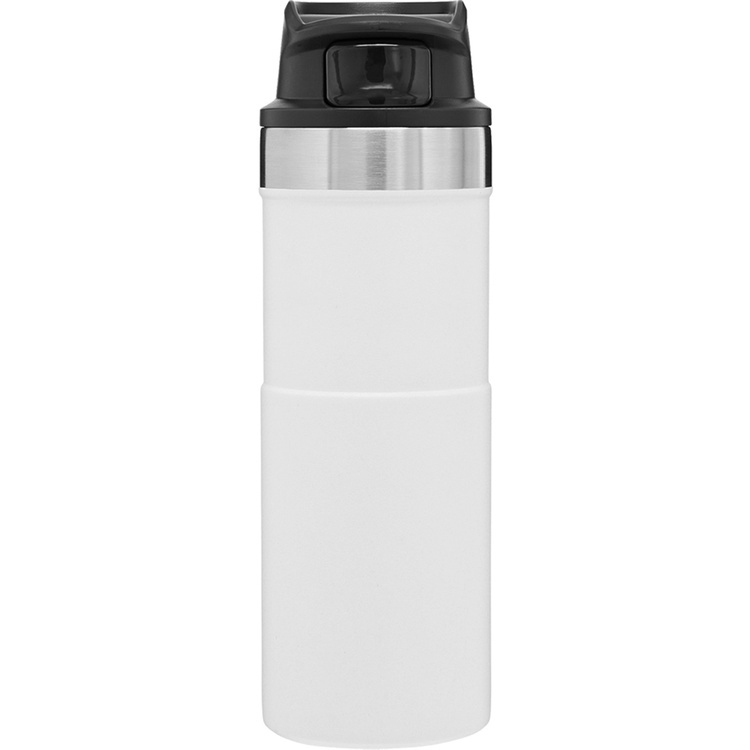 Designed with a comfortable silicone grip for easy carry and an ergonomic shape to fit cup holders. 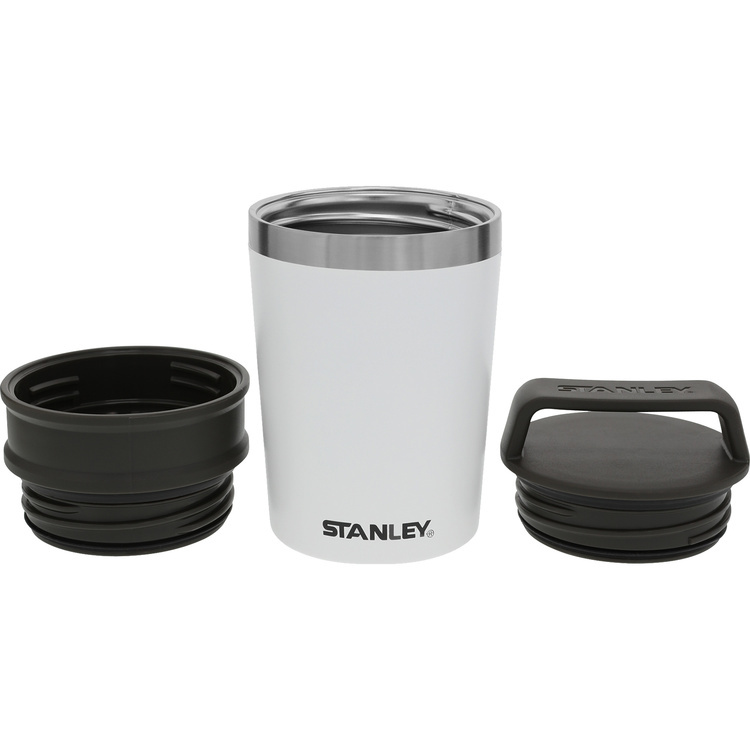 Features a slide-lock lid that is easy to drink from and prevents spills. Double wall foam insulation retains hot or cold temperatures. 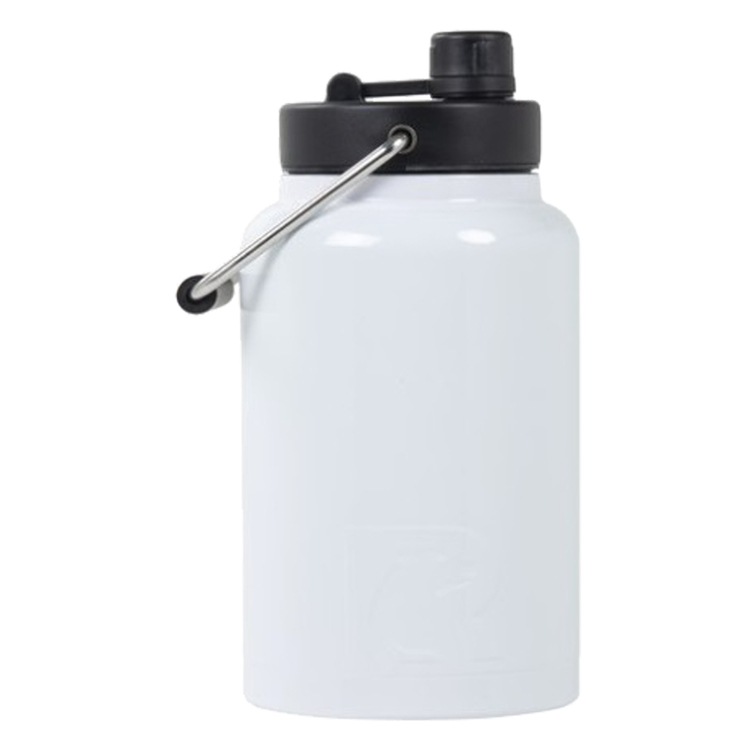 RTIC Half Gallon White Stainless Steel Jug. Double wall vacuum insulated. Comes individually boxed. Keeps iced drinks cold longer. Holds ice for up to 24 hours. Works great for hot beverages too. 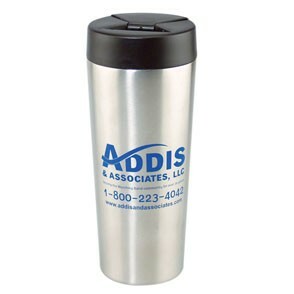 Laser Engraved leaving an elegant, stainless steel show-through imprint color. Easy to clean. One of the highest quality bottles on the market. 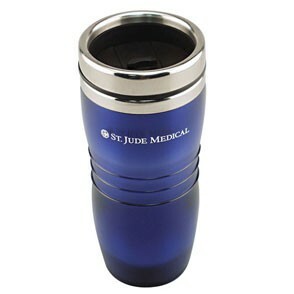 This stainless steel tumbler has a stainless steel liner which will keep your beverage hot. 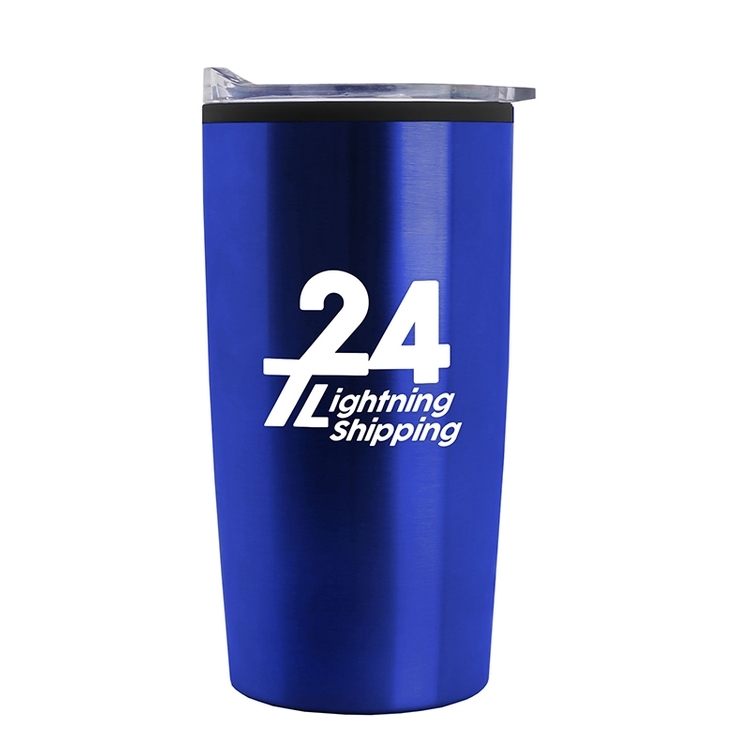 The insulated mug is a great gift for anyone who travels and can be personalized to promote your company, organization or business. The coffee cup has a tapered bottom that will fit in most drink consoles. 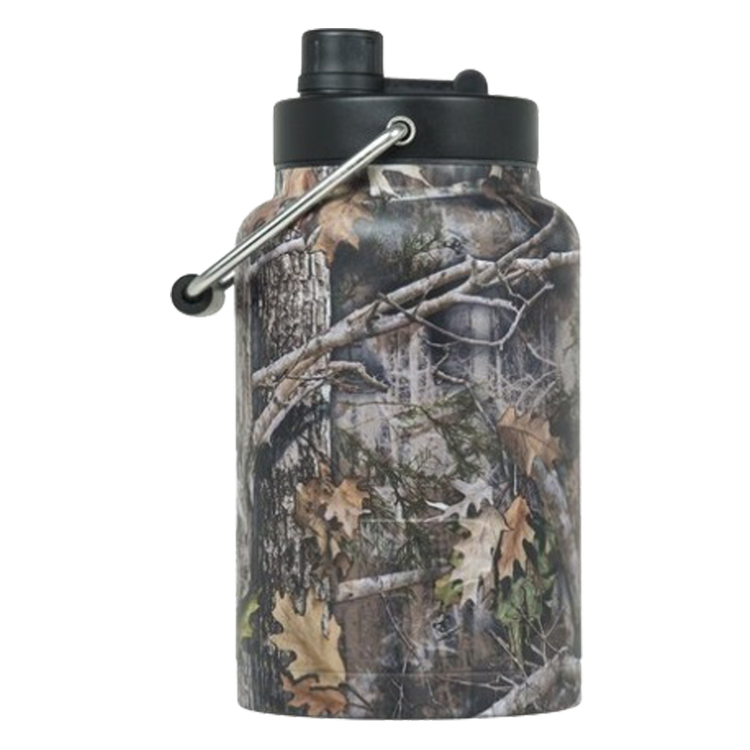 RTIC Half Gallon Camo Stainless Steel Jug. Double wall vacuum insulated. Comes individually boxed. Keeps iced drinks cold longer. Holds ice for up to 24 hours. Works great for hot beverages too. Laser Engraved leaving an elegant, stainless steel show-through imprint color. Easy to clean. One of the highest quality bottles on the market. 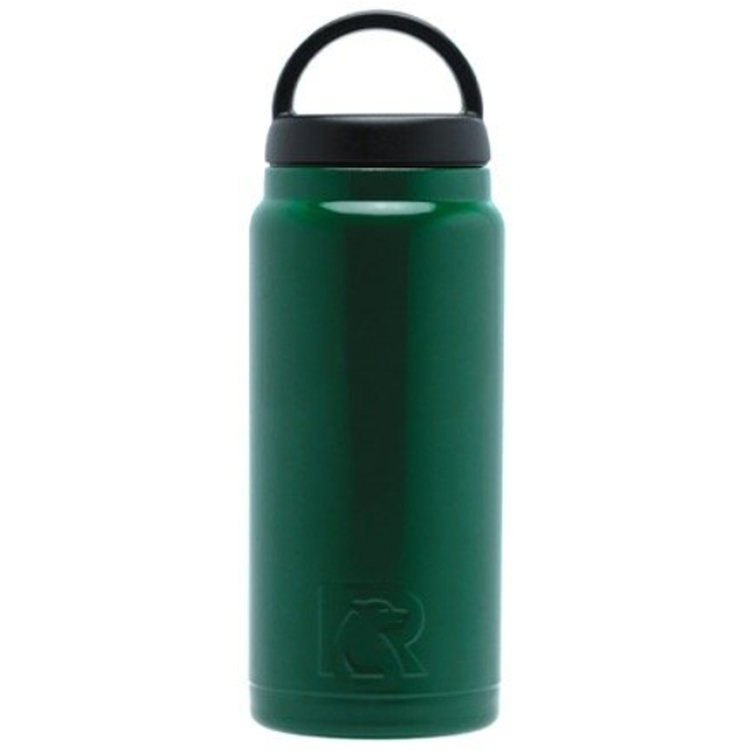 RTIC 18oz Forest Green Stainless Steel Bottle. Double wall vacuum insulated. Comes individually boxed. Keeps iced drinks cold longer. Holds ice for up to 24 hours. Works great for hot beverages too. Laser Engraved show through stainless steel (included). Easy to clean. One of the highest quality bottles on the market. 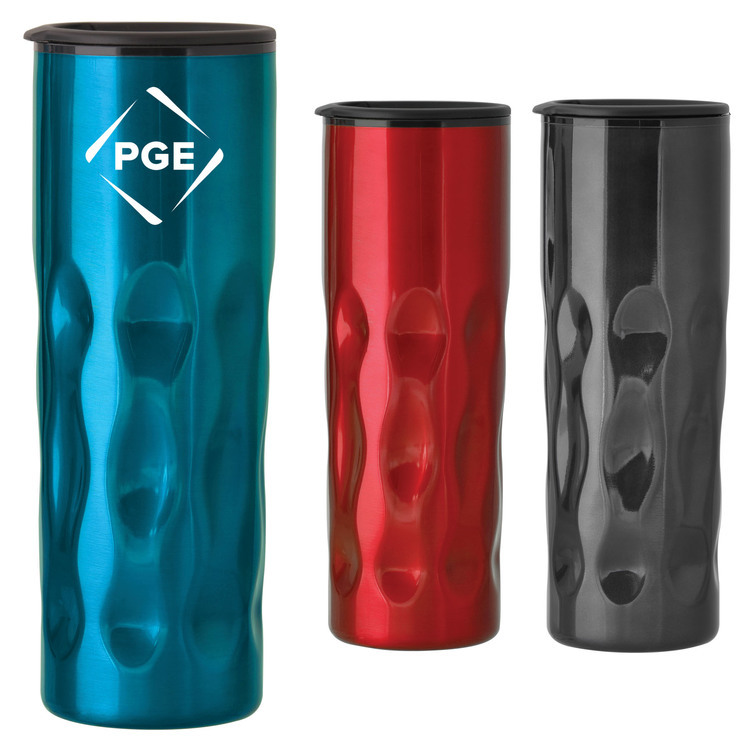 Ultra-durable travel mug for hot and cold beverages; 26.5-ounce capacity. 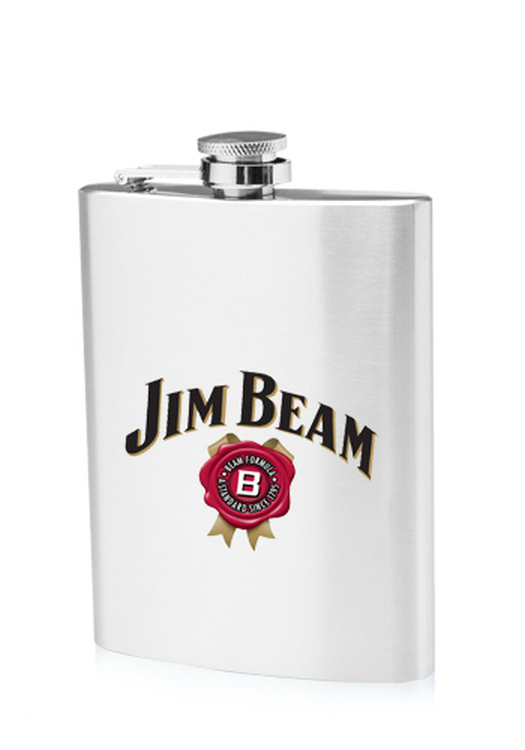 Unbreakable stainless steel interior and exterior, Leak-proof Drinklock sealing lid. 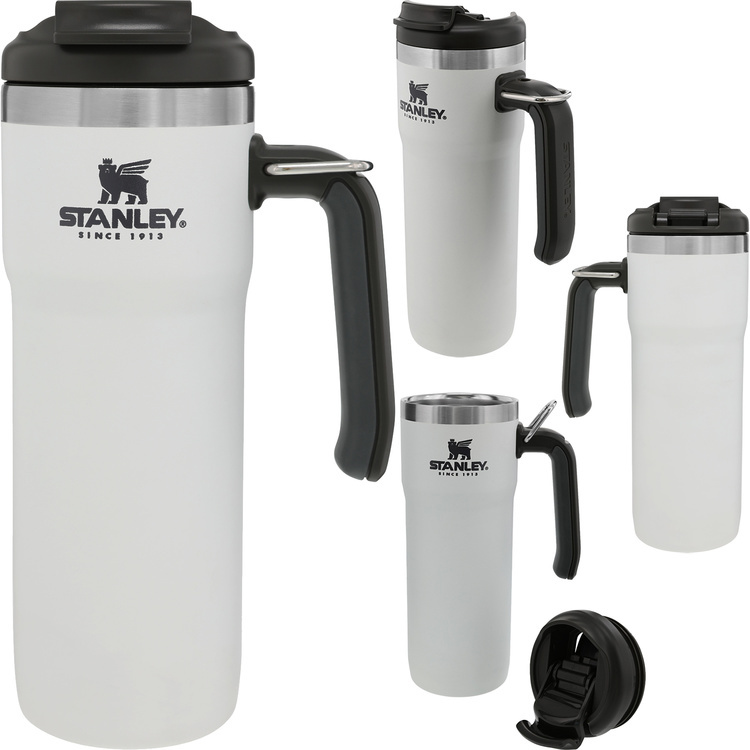 Stainless steel vacuum sealed construction maintains beverage temperature (hot or cold) for up to 10 hours. Any logo can be customized. Good for promotion gifts. **A Prime Line® Exclusive! ** • 16.9 oz. 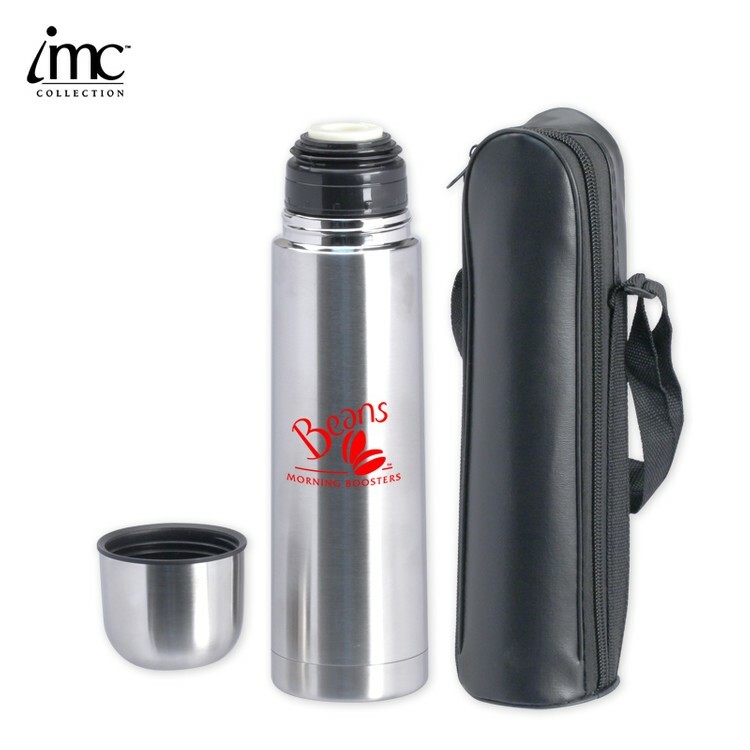 (499 mL) Thermal bottle with richly-textured Aristo Bonded Leather sleeve with top and bottom stitched accents and bottle with brushed stainless steel finish • Double wall bottle made of 18/0 Stainless Steel exterior with Polypropylene lining. 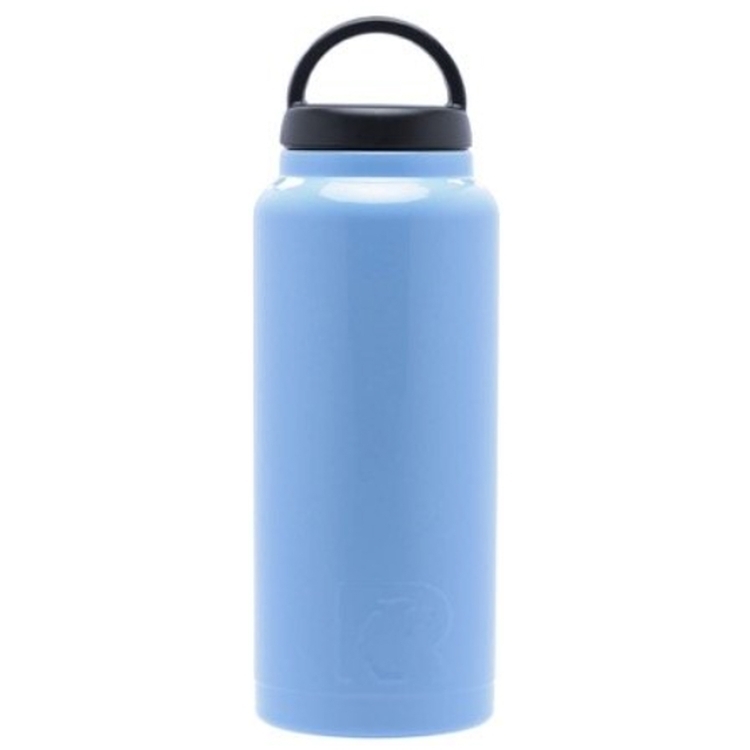 • Keeps drinks hot or cold for hours. • Stainless steel leak-proof screw-on cap. • Remove sleeve prior to washing (hand wash only). **A Prime Line® Exclusive! 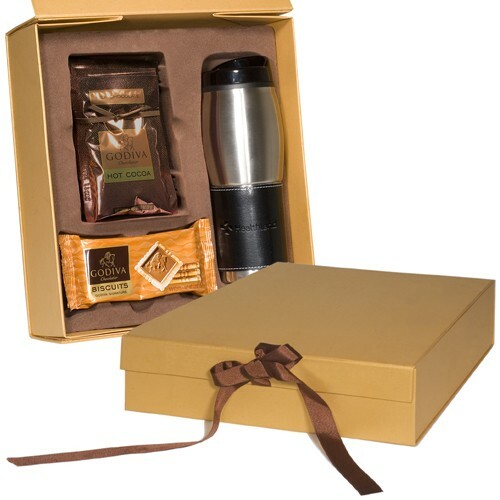 ** • Includes the LG-9103 Empire™ Aristo Bonded Leather -Stainless Tumbler with Godiva® Hot Cocoa Mix and package of 4 Godiva® Signature Biscuits in a magnetic-closure gift box. 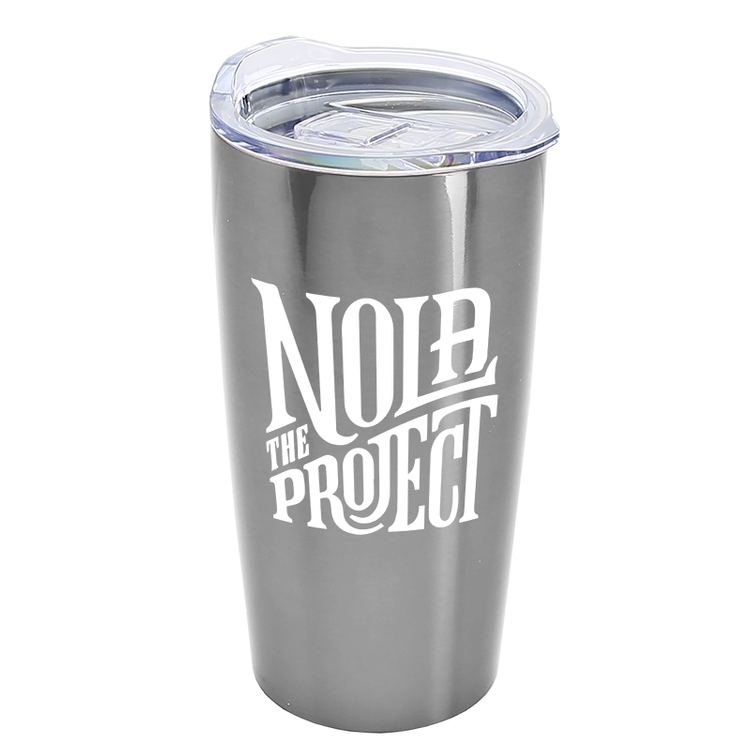 • Tumbler is 16 oz. 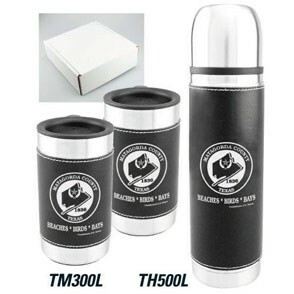 (473 mL) insulated stainless steel with black plastic liner splash-resistant SAN Acrylic drink-through lid and Aristo Bonded Leather wrap that removes for washing. • Includes four packets of hot cocoa mix. Each packet makes 8 oz. • Shipping available to U.S. addresses only. 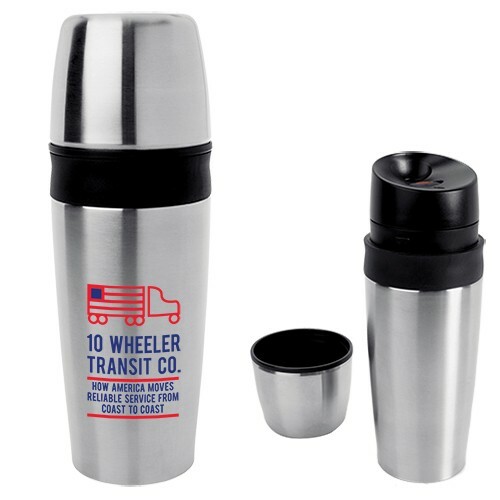 Ultra-durable travel mug for hot and cold beverages; 12-ounce capacity. Unbreakable stainless steel interior and exterior. Leak-proof with Drinklock sealing lid. 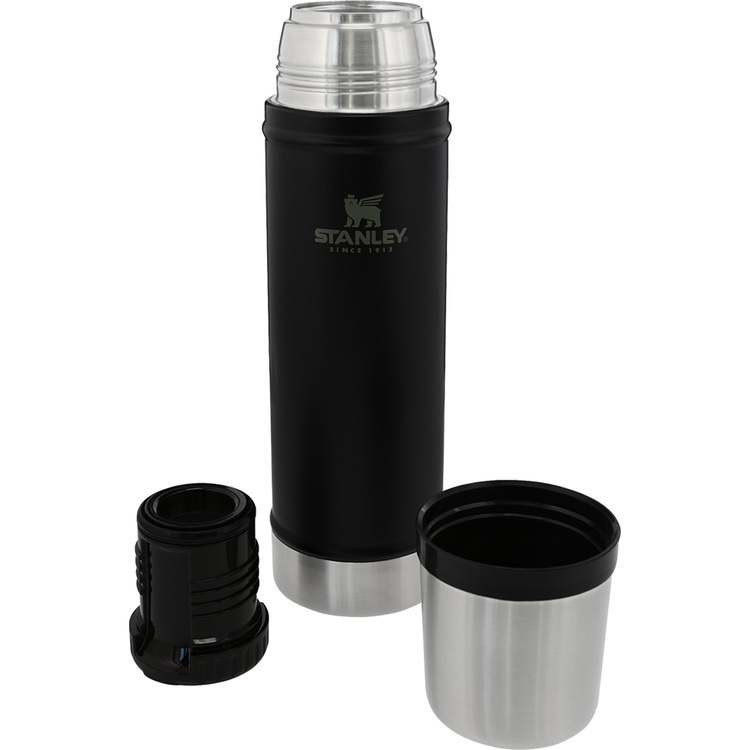 Stainless steel vacuum sealed construction maintains beverage temperature (hot or cold) for up to 10 hours. Any logo can be customized. 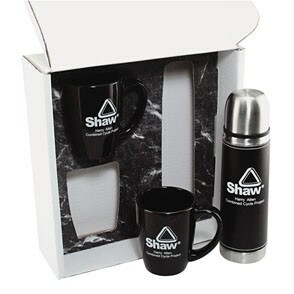 Good for promotion gifts. 18 oz. 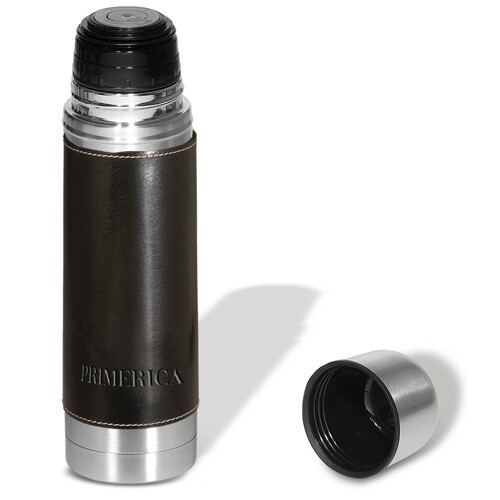 Stainless steel tumbler with polypropylene liner and spill-resistant acrylic slide lid. Those stackable, disposable red plastic cups may be good for a game of flipcup or beer pong, but not much else. 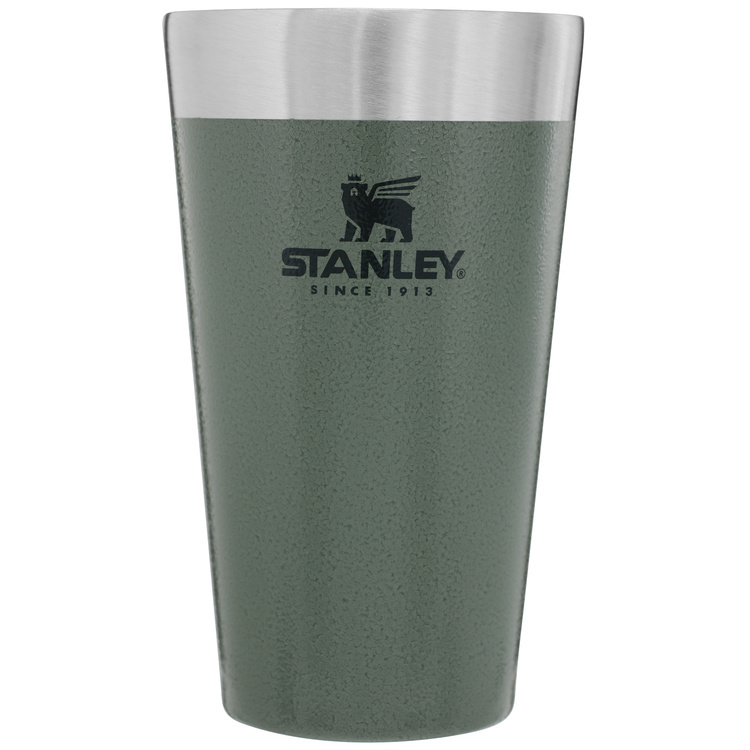 If you're looking for an escape from crushable, disappointing cups -- which, let's face it, ain't exactly ideal for a camping trip or insulation anyway -- it's time to stake your claim: the 16oz Stanley Adventure Stacking Vacuum Pint will keep your brew ice cold for hours, will never rust and stacks neatly to save space in your mess kit or kitchen cabinet. Stack 'em high, bottom's up. Affectionately known around the Stanley HQ as the 'ShortStack', this little sucker's diminutive stature means it's got something to prove. 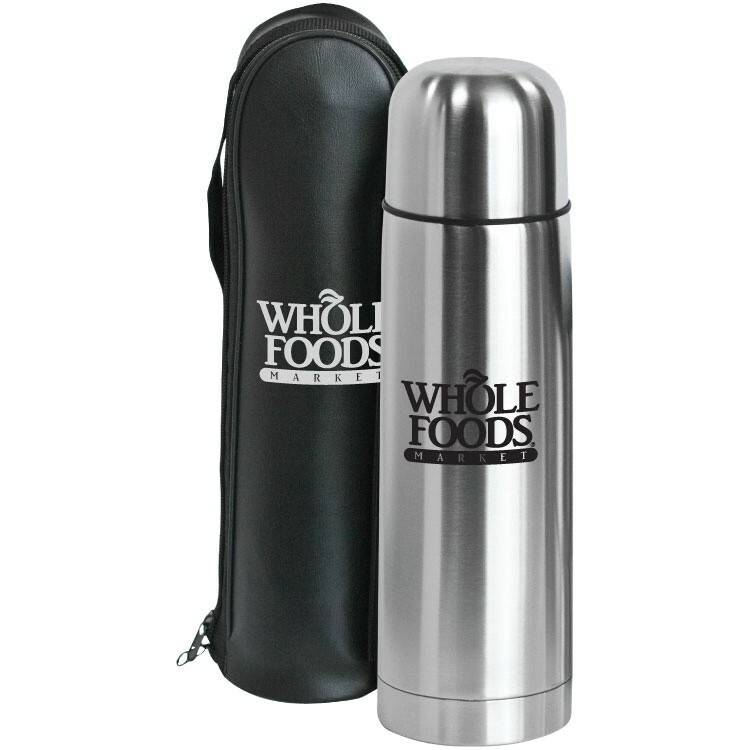 Luckily, it makes its case boldly: leak-proof and insulated to keep drinks hot or cold for hours, Shorty here is ready for a single shot of espresso, whisky on the rocks or a perfect portion of oatmeal on the go. It ain't always the size that counts. Three-quarters the size, double the fun. Wait, does that add up? Don't ask us, we were never that good at math. Besides, when's the last time you actually used algebra in the real world? 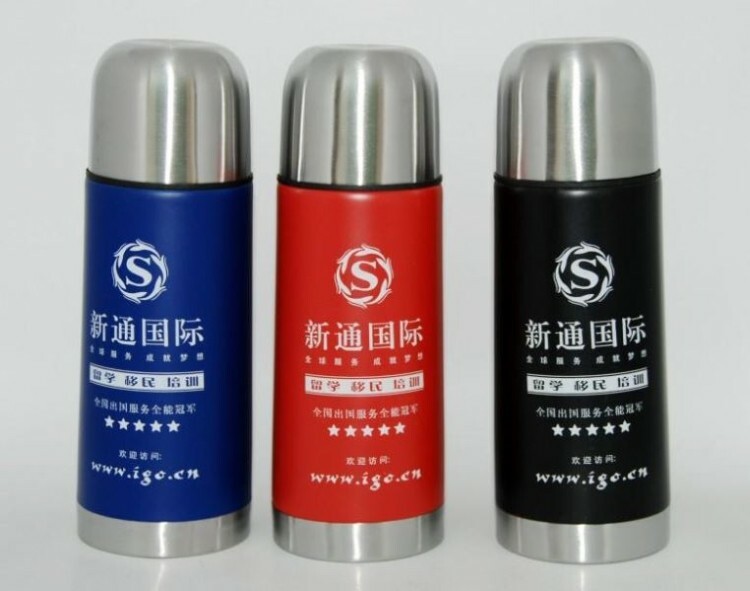 A tough, portable and packable bottle like this, you're going to use every day; on the beach, on the site, on the road. Algebra? Not so much. The perfect co-pilot for your morning commute that lands your evenings on the porch. 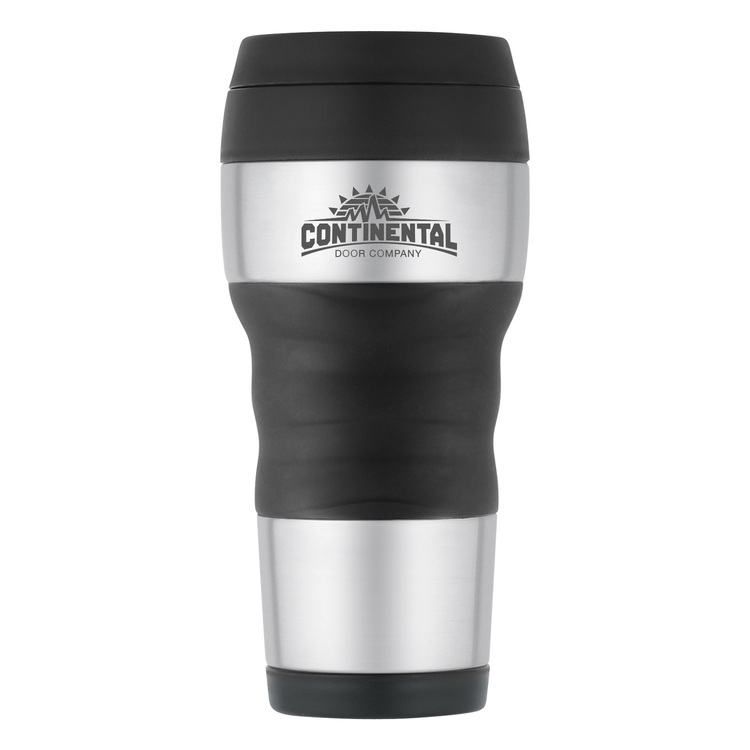 16 oz capacity and double wall insulation means you've got hot and cold running drinks, with more than enough to go around -- yet still designed to fit in your cup holder. Bust loose from the mundane. Cell phone? Check. Wallet? Seems a little light, but check. Keys? Check. Fully leak-proof, one handed mug, capable of keeping drinks hot or cold 7 hours or iced 30 hours? That's a big honkin' check. Meet the newest entry into the "can't leave the house without it" essentials. This is bound to be the start of a beautiful friendship. 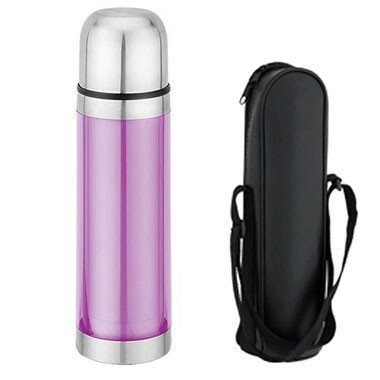 17oz Double Wall Thermos w/Case. Double wall constructed with 18/8 stainless steel interior and transparent outer shell. Hand wash only. Not microwave safe. 16 oz. 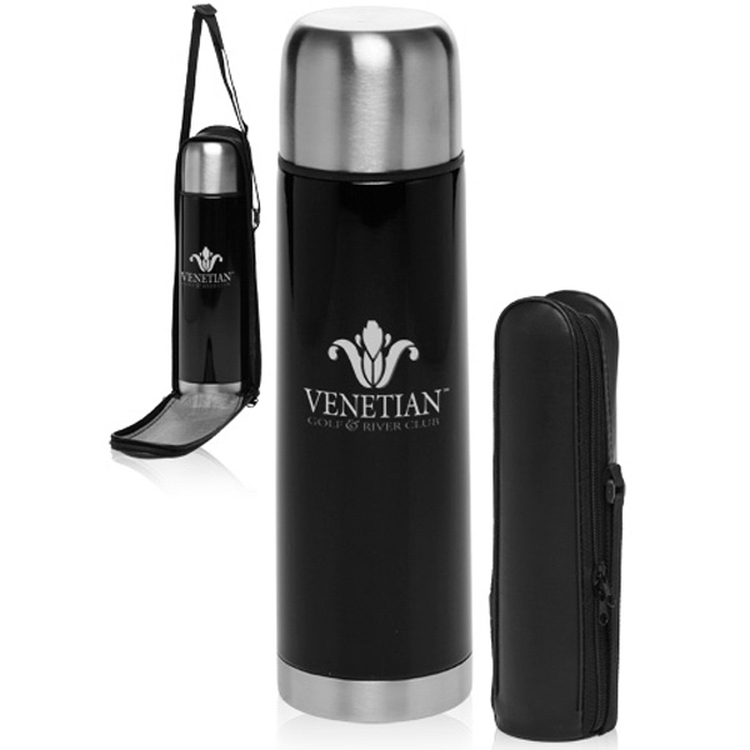 vacuum insulated stainless steel bottle with 8-10 hour heat retention and a faux leather pouch. 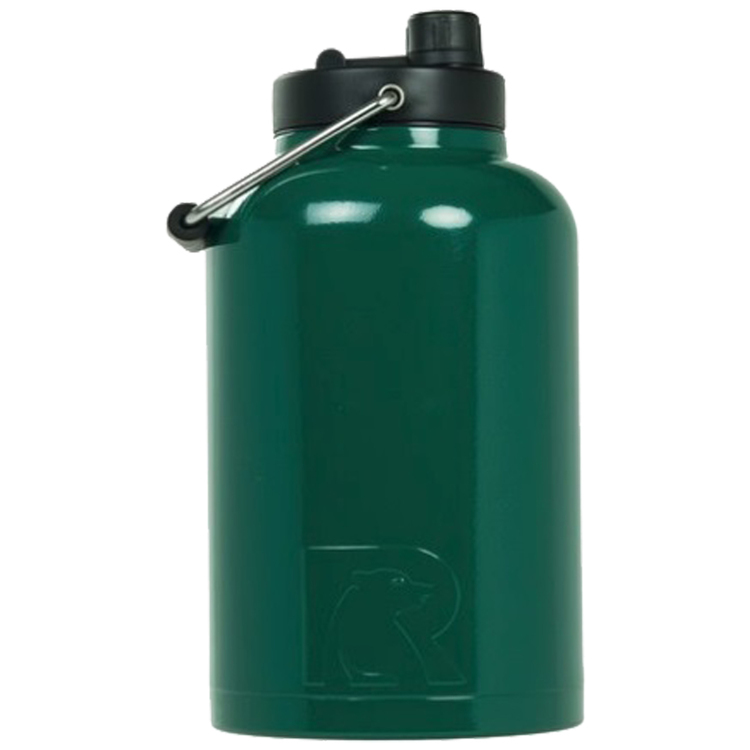 RTIC One Gallon Forest Green Stainless Steel Jug. Double wall vacuum insulated. Comes individually boxed. Keeps iced drinks cold longer. Holds ice for up to 24 hours. Works great for hot beverages too. 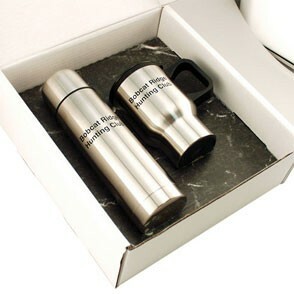 Laser Engraved leaving an elegant, stainless steel show-through imprint color. Easy to clean. One of the highest quality bottles on the market.